Hopefully you'll never be in a bicycle accident, but it's always best to have a plan. The best place to start is to protect yourself with insurance – car insurance, bicycle insurance, and/or other health insurance. If you drive, your Pennsylvania car insurance policy covers your own medical bills (called "first party medical benefits") after a traffic collision – whether you're injured while driving, walking, or on your bicycle. Remember to choose Full Tort coverage on your policy, which allows you to collect compensation for "pain and suffering" for your injuries. As a biker, you're very vulnerable. You ride on roadways with motor vehicles, and you're not protected with anything except a helmet. You can easily suffer serious injuries that could change your life forever. It's important to be prepared for anything, and Full Tort coverage can help. If you reach the maximum you selected for Medical Expense Benefits coverage, your health insurance takes over paying your medical bills. If you don't have health insurance through your employer or your own policy, you may be personally responsible for any bills that go over the limit of that coverage. That's why it's so important to have enough Medical Expense Benefits coverage that will protect you and cover any medical bills you may have after a bicycle accident. The time to change your car insurance policy is now, not after an accident. 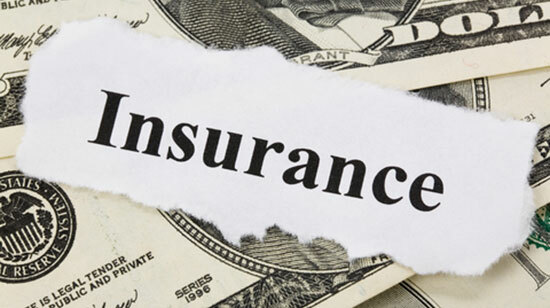 Contact your insurance agent if you want to add or update your coverage options. You may be covered if you live with a relative who owns a car and has car insurance. You can use other health insurance options, such as with the insurance company coverage offered through your employer or personal health insurance policies. You may be able to file a claim against a driver's insurance company if you're injured in an accident, but there are no guarantees – the driver may be uninsured or underinsured. Don't trust that you'll receive compensation just because they're at fault for the crash. Hopefully you'll never be injured in a bicycle accident and need to use insurance to cover your medical bills or property damage. But accidents do happen. Filing a claim can be very confusing, and the legal system is complex from start to finish. Edgar Snyder & Associates has helped over 75,000 people injured in accidents, including people injured in bicycle accidents. Contact us for a no obligation, free legal consultation to learn your rights as a bicycle accident victim. Call 1-866-943-3427, or fill out the form at the top right of this webpage to get started.